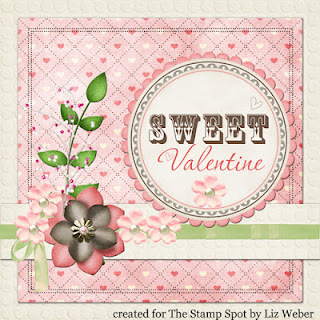 Today I've got a post over at The Stamp Spot using the February sketch. It's a fab sketch that can be used easily for a card or layout. 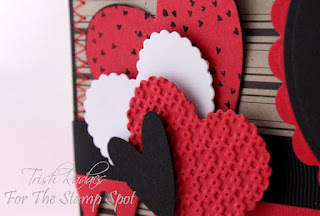 Here's a little snippet of my card - can you tell it's a Valentine's day card?? I'd love to see your take on the sketch so jump on over and show me your creations!!! Love your stamp spot card Trish, incredibly striking in colour and gorgeous textures, so much talent!